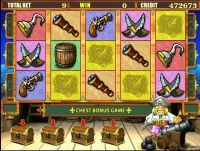 Game Pirate is a 5 reel video slot with the opportunity to increase the win in the risk game, and get additional wins in one of their two bonus games. The main game play, you can choose the number of lines from 1 to 9 and bid on the line from 1 to 25 (when the default). Three or more identical subject lines provide benefits under the table, which can be found by pressing the button HELP. 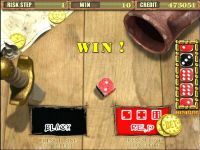 Risk-win game to increase by doubling at each step. Required guess that will be on winning cubic - Thur (red) or Odd (black). If successful, the current win is doubled, otherwise – nulls. 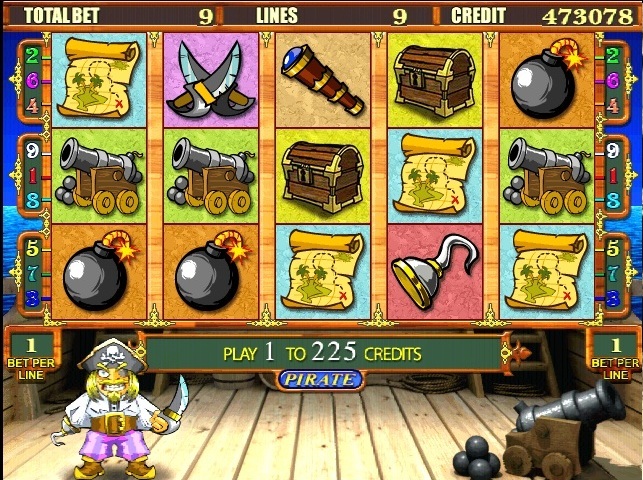 The player needs to open chests. The number of attempts in bonuses corresponds to the number of chests, fell on drums. Each chest can contain treasure. 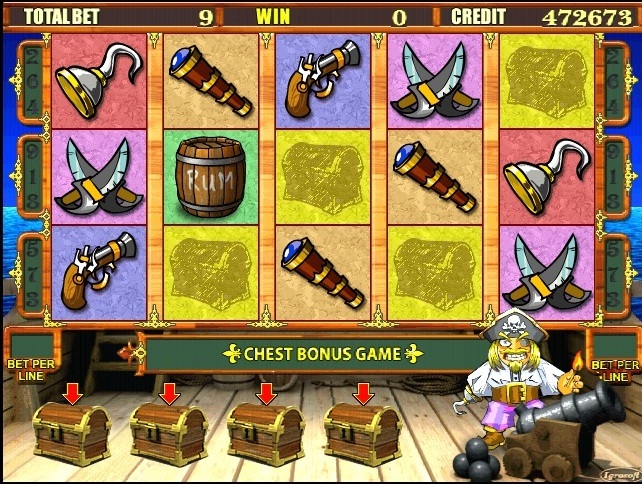 If the chest contains bones, the bonus game is over. The player needs to open the barrel, stopping one of two rotating cubes. Each barrel contains gemstone. 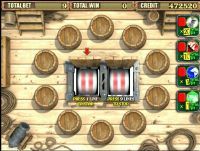 The bonus game is over on opening the empty keg.